Shane specializes in all aspects of commercial real estate, including retail, land development and investment properties. Over the years, Shane has built relationships with property owners, major tenants and government agencies. He has the resources his clients in Eastern Idaho need. Shane specializes in local retail, industrial, office, investment, land development and leasing transactions. He is actively involved in some of Eastern Idaho's major commercial developments. As an avid supporter and member of Grow Idaho Falls, Inc., Eastern Idaho's economic development council, (ICSC) International Council of Shopping Centers and other local and national associations. Shane is highly involved in the regional commercial real estate network. Venture One Properties has large acquisition and disposition capabilities thanks to a variety of local and national contacts. Venture One Properties also helps local clients with their business needs. 1983-1985 Idaho State University - Pursued his Business Management degree; minor in Accounting. 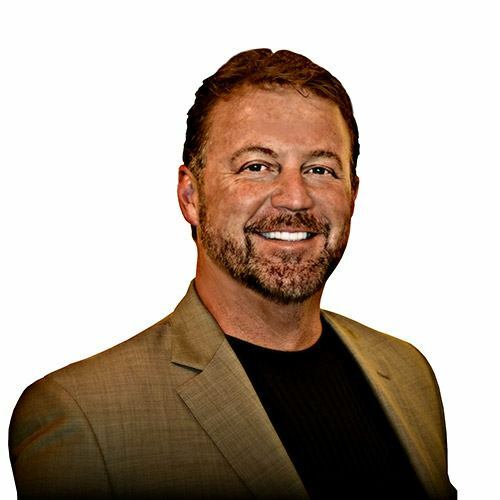 Before becoming the founder and principal broker of Venture One Properties in 2008, Shane was a partner and helped establish and locate a National Brand Commercial Real Estate company in Southeast Idaho in 2001. Before Real Estate Brokerage, Shane had 12 years experience owning and learning all functions of retail operations for a regional retail chain doing over $35,000,000 in sales annually to include; site locations, leasing, distribution, logistics, sales, management, new store development and merchandising. In 1993, he founded Java Espress and Juice Jungle, a drive-through coffee beverage chain. He has used his experience to expand the business to multiple markets in Idaho successfully and has developed it into a franchise concept now offering opportunities in 6 western states. Andrea knows that by maintaining an honest, ethical, and competitive business plan, her clients will be given the best service in the most orderly and timely fashion. She has a desire to make her client's needs come first. Through open communication, her clients will feel comfortable and confident that their real estate objectives and goals will be recognized. From simple lease transactions to large retail sales, Andrea is well-equipped and has the support to handle all aspects of commercial real estate, from the land development process to property sales,leasing and investment. Before becoming a commercial agent with Venture One Properties in 2008, Andrea had over 16 yrs of sales and marketing experience. She was a Sr. Account Executive for Verizon Wireless and was responsible for acquiring and maintaining large corporate and government accounts. Such accounts as the Idaho National Laboratory, the City of Idaho Falls, Bonneville County, Idaho Falls and Rexburg school districts, Idaho Power, Melaleuca, US Forest Service and many others. During her employment with Verizon, Andrea was recognized as being the highest producing Business to Business and Government Sales Executive in the state of Idaho and one of the top ten in a nine-state region. After leaving Verizon, Andrea expanded into medical sales as an Account Executive for Rotech Healthcare. Her account base consisted of hospitals, physicians and medical professionals all over Southeastern Idaho and Jackson, WY. While with Rotech Healthcare, Andrea was awarded the Top Medical Equipment Sales Representative award for the Western U.S. Region.